In our quest for easy to use, not to expensive, and not to hard to get color LCDs there's finaly some light at the end of the tunnel. The Nokia phones housing the displays we're talking about is the 6610. This is a gorgeous 132x132 pixel serial color graphic LCD display. 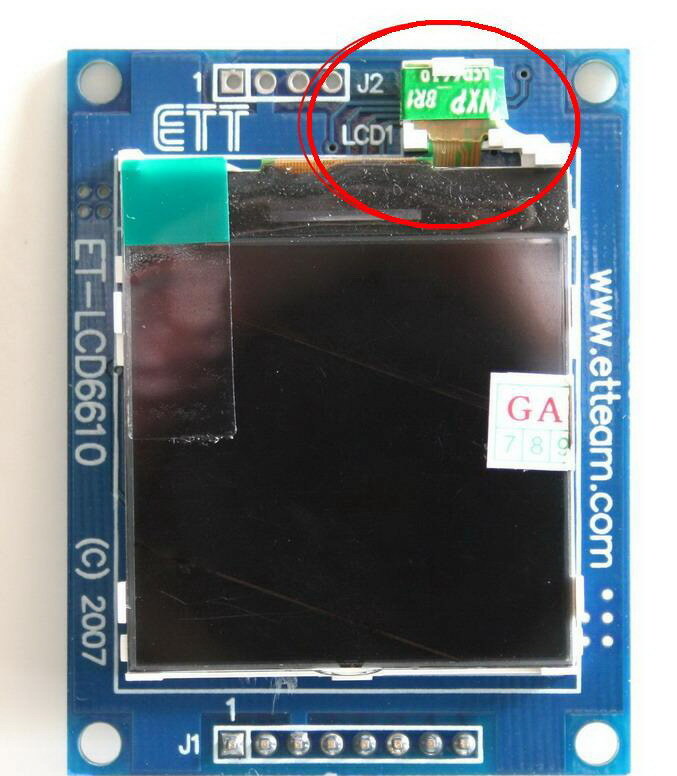 It is a small carrier board with Nokia 6610 LCD. This inexpensive LCD comes with a powerful software adjustable LED backlight. It uses a simple 3 wires serial SPI 9-bit interface. 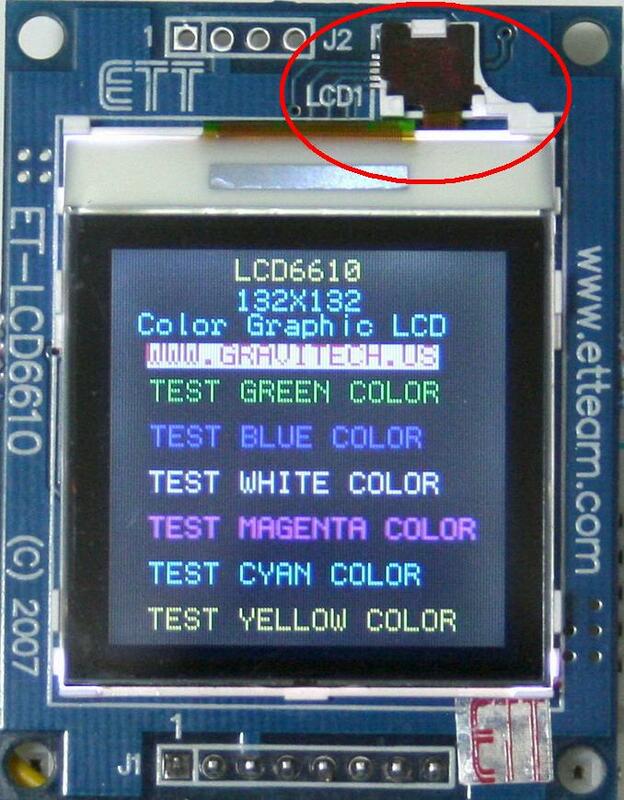 This is a nice compact color LCD board (1.7" x 2.2"). NOTE: The display that is being used is either an Epson model or a Philips model. Although they are being used in the same phone, they have a different controller. The phone's firmware detects which display is attached to it (the displays have a hardwired ID). How do you identify the type of controller you have on your board? Philips controller has the green sticker label "NXP" on the LCD onnector. LCD6610 with Arduino Nano from Gravitech on Vimeo. LCD6610 with Basic Stamp from Gravitech on Vimeo.